Enter for the chance to win Sword Art Online (manga)! 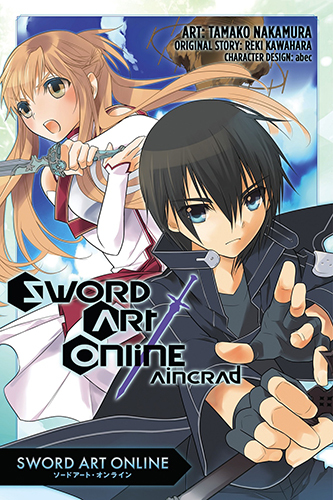 Enter on Goodreads for the chance to win a copy of Sword Art Online: Aincrad (manga). Forget the current console wars. Take your gaming to the next level with Sword Art Online where even the default difficulty can be deadly. Look for Sword Art Online: Aincrad (manga) in stores on March 25th! This has been corrected on Goodreads now. Can’t wait for this. Must enter this I’m a big Sword Art Online fan. Is there a chance for more Pandora-like titles? Like Gosick? Or eventually Dantalian no Shoka? i would like to know if it’s the manga or light novel ? @hoobes – This giveaway was for the manga (it ended March 15). The Aincrad manga is in stores now! But if it’s the SAO light novel you’re looking for, the first volume of that is in stores next month (May 2014)! I love SAO so much!! I watched both seasons on netflix in like four days and rewatched it many times!! I cosplay and fanfiction and fanart Kirito and Asuna all the time!! !